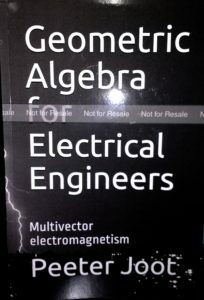 Peeter Joot's Blog » My book (Geometric Algebra for Electrical Engineers) now available in paper. 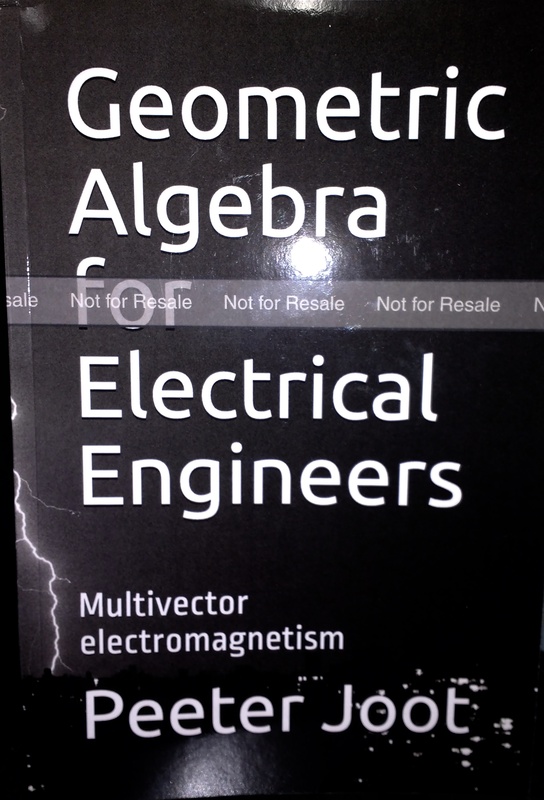 My book (Geometric Algebra for Electrical Engineers) now available in paper. or as latex from github, for $0. Both paper versions are softcover, and have a 6×9″ format, whereas the PDF is formatted as letter size. The leanpub version was made when I had the erroneous impression that it was a print on demand service like kindle-direct-publishing (aka createspace.) — it’s not, but the set your own price aspect of their service is kind of neat, so I’ve left it up. If you download the free PDF or buy the black and white version, and feel undercharged, feel free to send some bitcoin my way.